Robert Armstrong became certified as an ISSA Personal Trainer in May 2009. Robert played college footbal at University of Maryland College Park for three years before embarking on a journey to play football in the NFL and the Arena Football League. 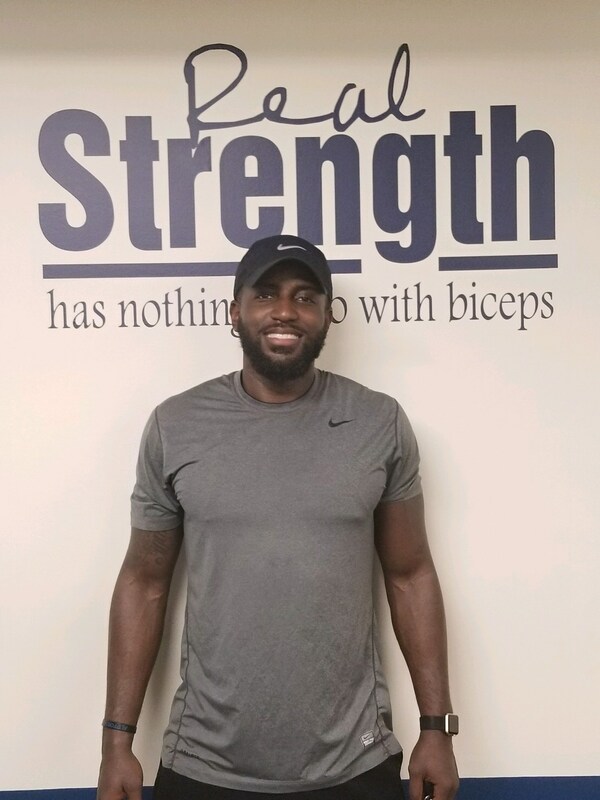 After overcoming many obstacles playing college football and pursuing the professional football arena, Robert decided to dedicate his fitness knowledge and training skills acquired from football towards helping individuals reach their fitness goals. After struggling with gaining a hundred pounds after football ended, Robert decided to take control of his health and weight by becoming a personal trainer. Robert began his personal training career at Anytime Fitness in Fredericksburg, Virginia before joining the training team at one of the largest franchise gyms in the US, Gold’s Gym. At Gold’s Gym Robert continuously raised the bar in personal training sales, team work and making sure his clients reached their fitness goals. In 2010, Robert decided to take on a new challenge by starting Traveling Trainers LLC with his wife Atlantris in June 2010 with only 5 clients. 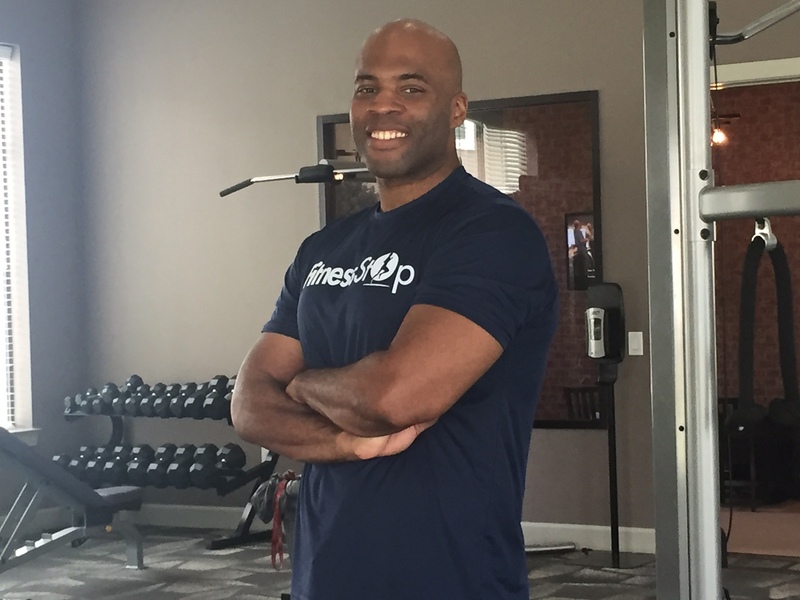 In October 2010, Robert and Atlantris opened Fitness Stop in Fredericksburg, Virginia, a personal training center due to the increasing number of clients.In September 2011, Robert and Atlantris opened their second Fitness Stop studio in Stafford, VA. Robert has trained over 100 individuals and currently has 40 clients that he is training. Atlantris Armstorng graduated and received a Bachelor’s of Science Degree in Family Science from the University of Maryland College Park. 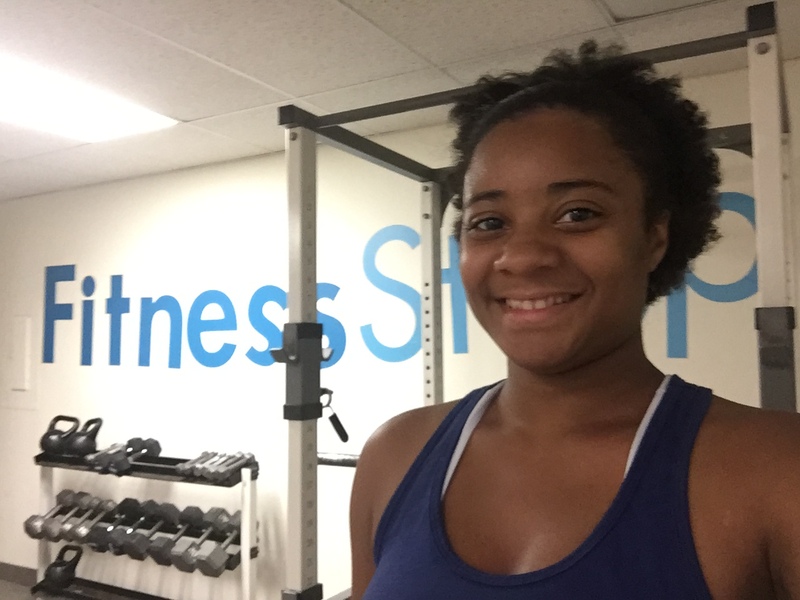 Throughout college, Atlantris not only had a passion to work with children and families, but she acknowledged her love for fitness and nutrition by conducting group fitness and nutrition classes with college peers and friends. 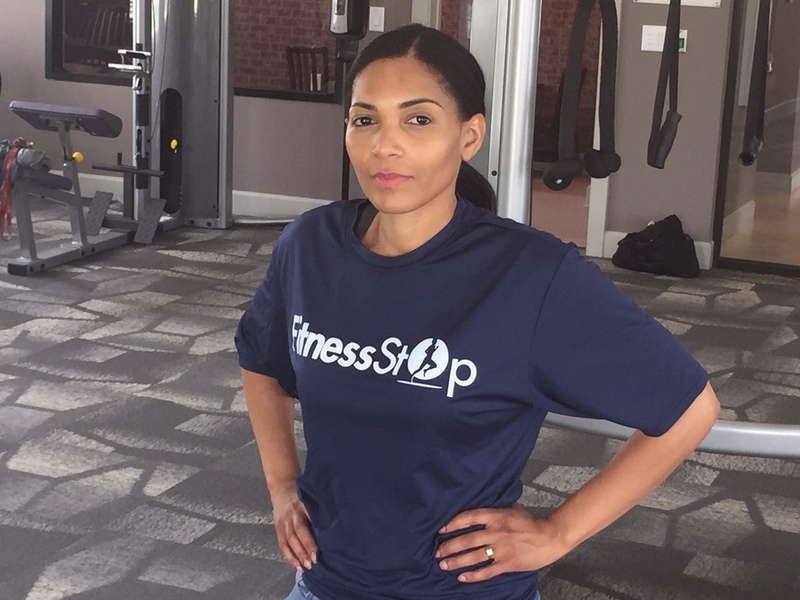 After graduating from UMD, Atlantris decided after working several jobs to join her husband Robert Armstrong in the health and fitness industry. She became certified as an ISSA personal trainer in early 2010. One of her missions as a fitness trainer is to tackle the obesity epidemic by educating adults and children on the importance of exercise and eating healthy. Atlantris specializes in weight loss and has trained over 50 individuals ranging from 12 years old to 70 years old. One of her greatest accomplishments as a trainer was helping a client lose 80 pounds in 6 months. She continues to encourage individuals to be proactive about their health. Atlantris continues to push the bar by showing individuals that determination, willpower, and effort are some of the best qualities to have for reaching certain goals. 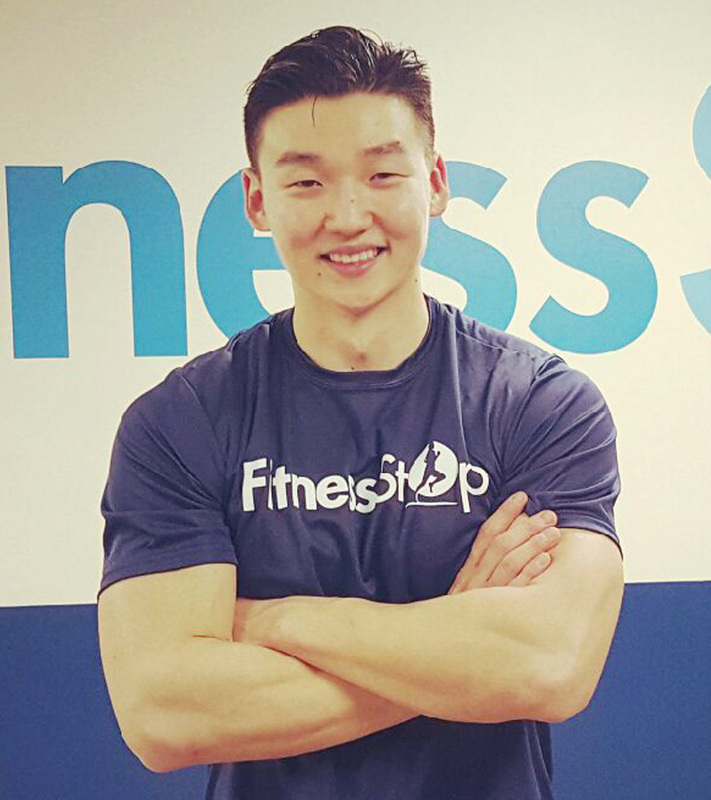 A focused and resourceful Personal Trainer with 3 years’ dedicated experience working in diverse fitness environments. Adept at counseling clients regarding body fat analysis, nutritional needs, proper use of fitness equipment and suitable form of exercises. To secure a position as a professional personal trainer where I can demonstrate my passion for fitness, health and overall well being. I wish to teach, help and coach people to reach their goals and improve their lifestyle. their Fitness and Wellness goal has become her life’s goal.